For more than 20 years, the professionals at Osborne Painting have provided complete interior and exterior home improvement services to commercial and residential clients in Central North Carolina. Some of our NC home improvement service offerings include, but are not limited to: interior painting, pressure washing, wallpaper removal, exterior painting, cabinet refinishing, window glazing, and popcorn ceiling removal. We know that maintenance and repairs are unavoidable aspects of owning a home. Upgrades and remodels can not only enhance your property overall but increase its value as well. 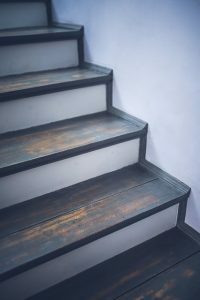 By keeping your home in great and presentable condition, you’re likely able to increase the chance of fetching top-dollar for your home if you ever decide to sell it. As licensed professionals, the home improvement and painting contractors at Osborne Painting are committed to quality workmanship and the best customer service. Don’t just take our word for it — browse our testimonials and see what our satisfied customers are saying about their Osborne Painting experience. Yes, we do. We also make modifications to crown molding that are most fitting for your home’s aesthetic. Initially designed to cover gaps where different materials came together, crown moldings have also become an elegant addition to the interior homes. Often times, they even have the ability to make a room feel larger and more welcoming. Crown moldings can be made of plaster, composite, and wood. Composites are the most popular material of crown moldings, as they’re lightweight, easy to install, and flexible. There are numerous styles of crown molding available for purchase, though the most popular styles include classic colonial, French chateau, and Greek revival. How much do crown moldings cost? It is hard to estimate how much crown moldings costs, as there are dozens of materials and styles to choose from. One major thing to keep in mind when determining the price of labor. What rooms should have crown moldings? Any rooms that you feel could use a little more flair could benefit from crown moldings! 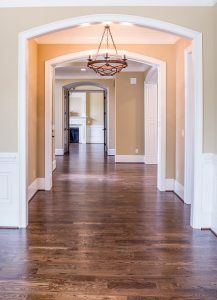 In our experience, kitchen cabinets, bathroom mirrors, bedroom headboards, around computer or TV areas, and even around shelving have been popular choices for crown molding renovation and installation. The experienced professionals at Osborne Painting operate out of Youngsville, NC and proudly provide exterior and interior restoration services in locations all over Central North Carolina, including Raleigh, Wake Forest, Cary, and the surrounding areas. Interested in any of our interior or exterior restoration services for your North Carolina home or business? Get in touch with the painting contractors at Osborne Painting at (919) 878-6611 or by filling out an online contact form. Our experienced team would be happy to answer any questions you may have and provide a free, no-obligation quote for any of our commercial or residential services — including painting, carpentry, refinishing, pressure washing and more!